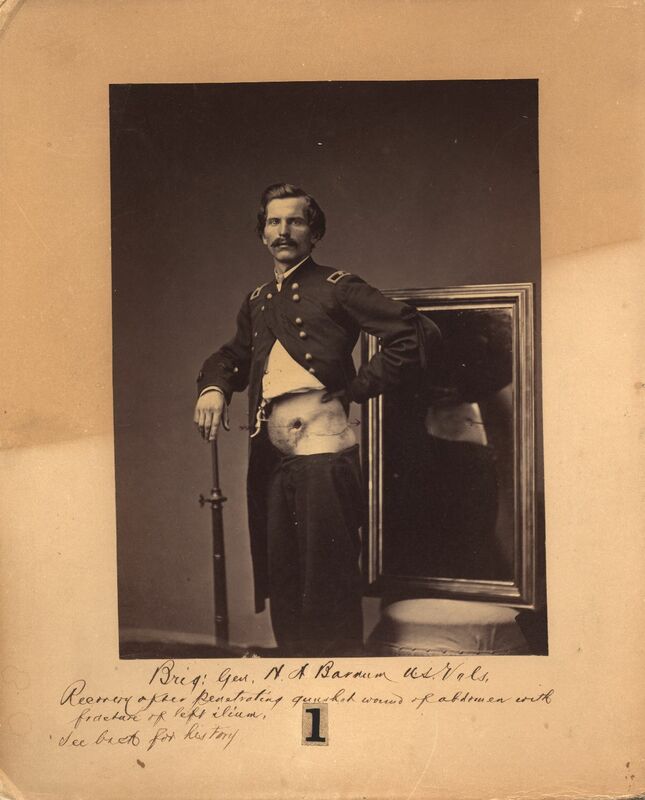 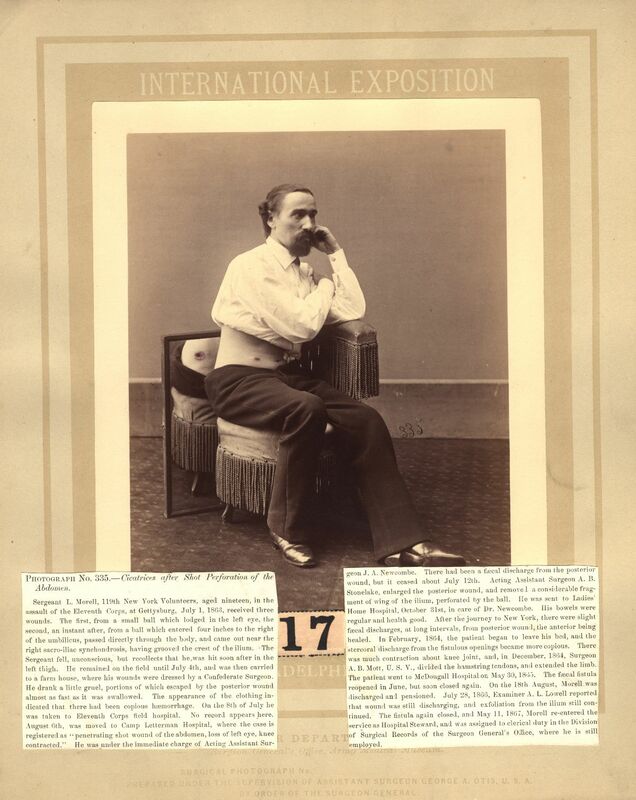 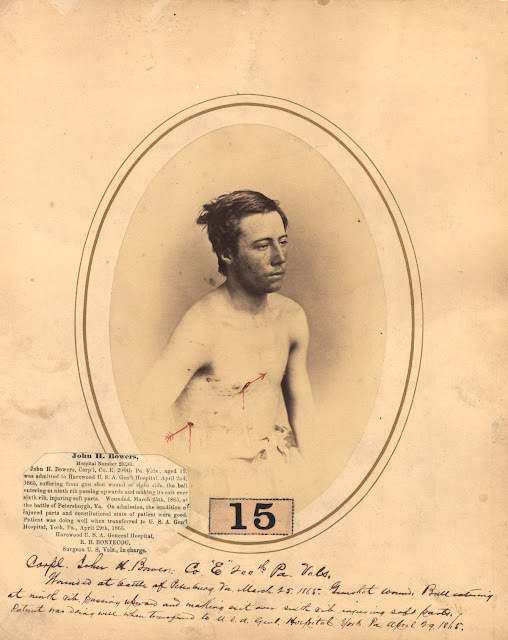 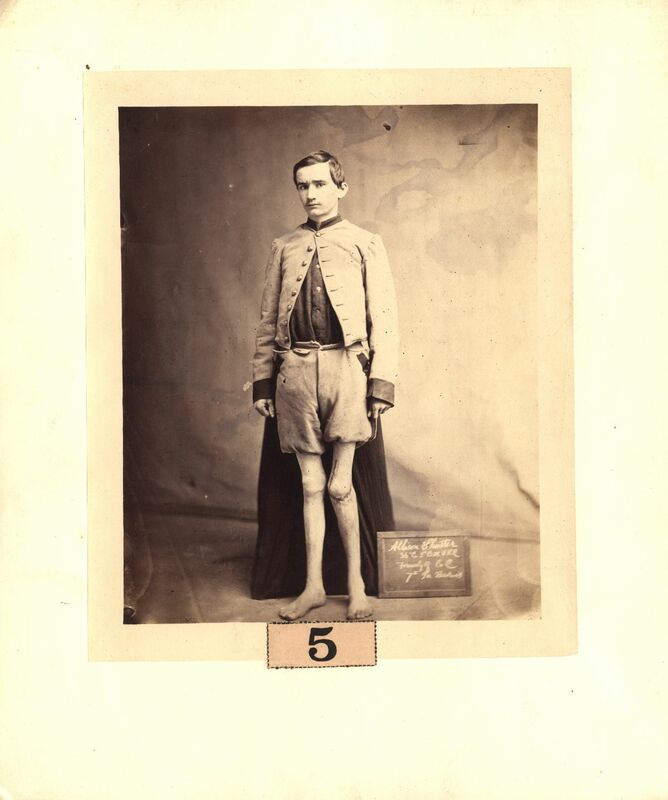 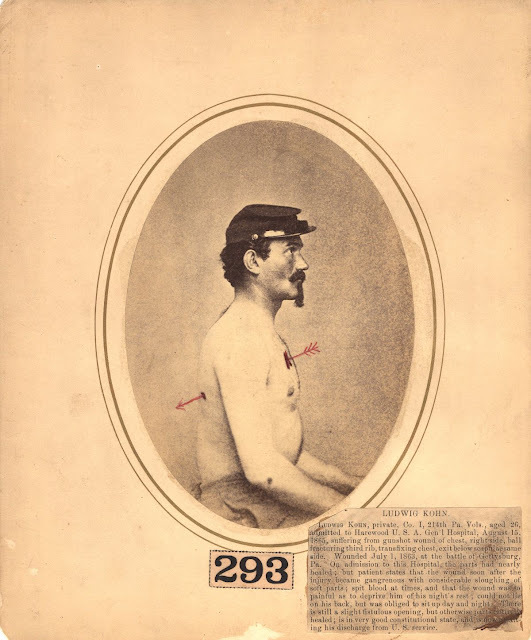 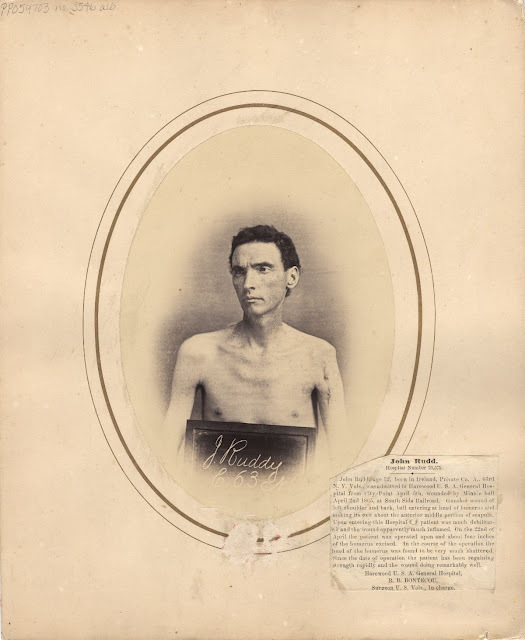 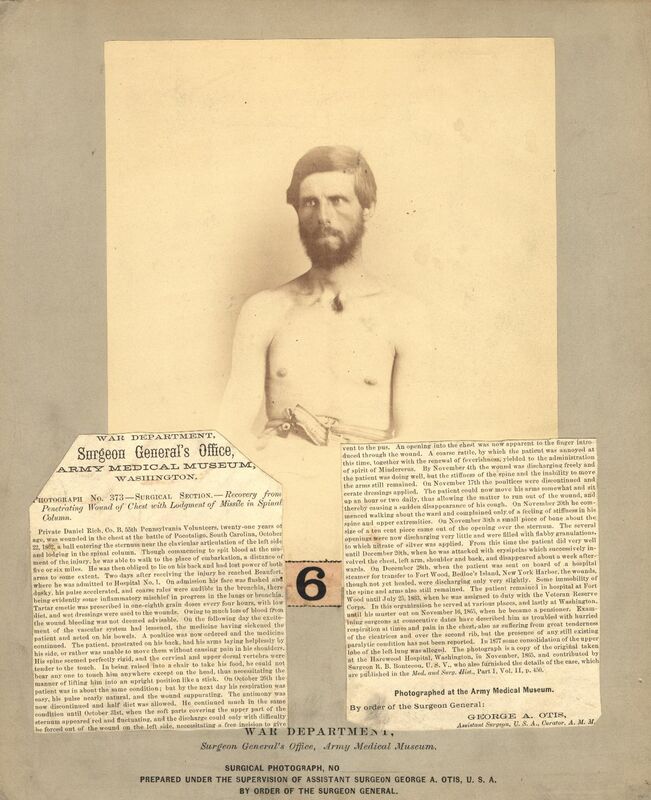 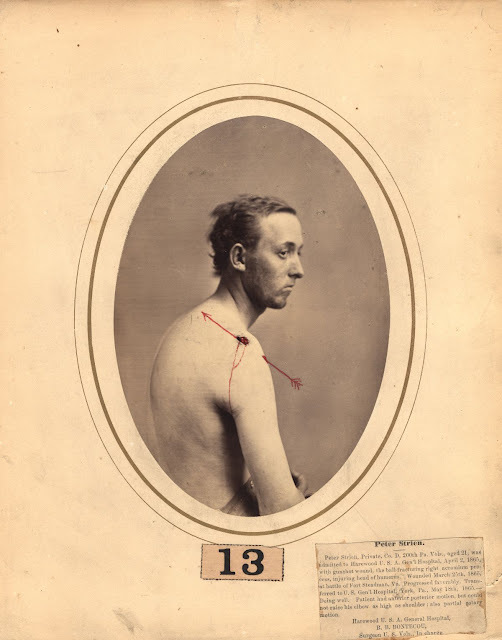 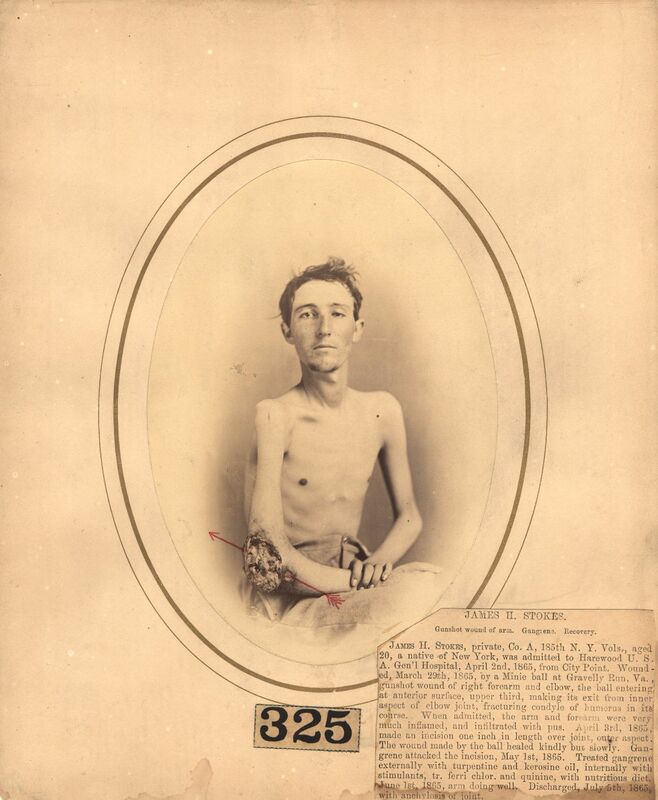 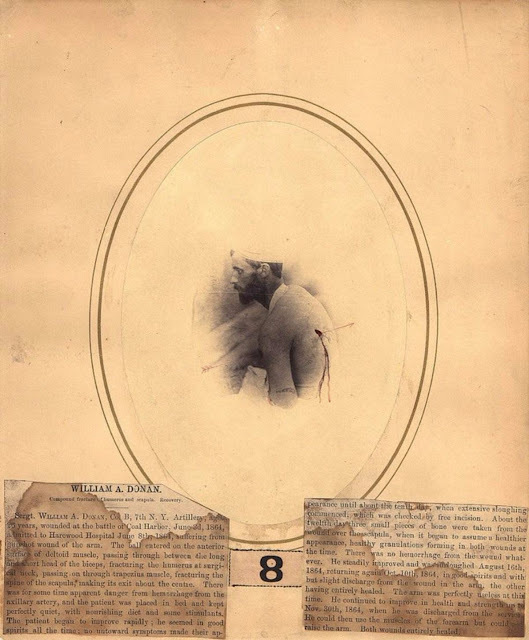 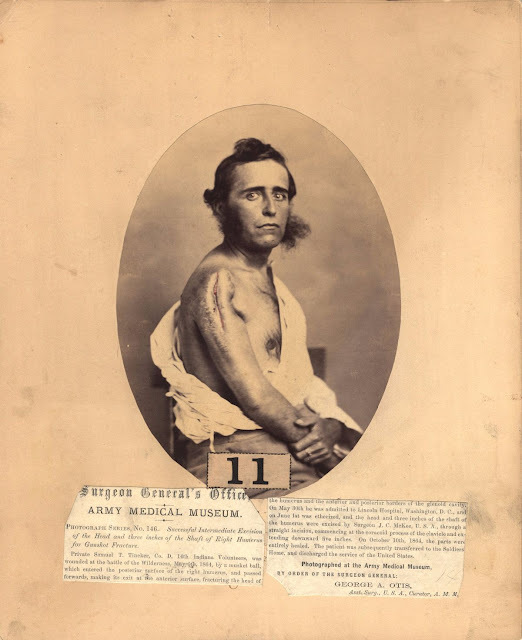 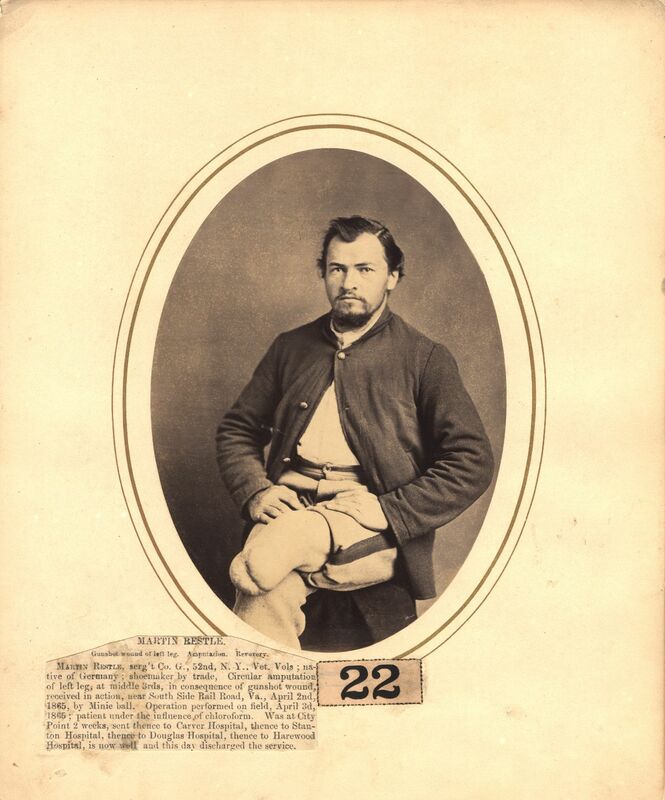 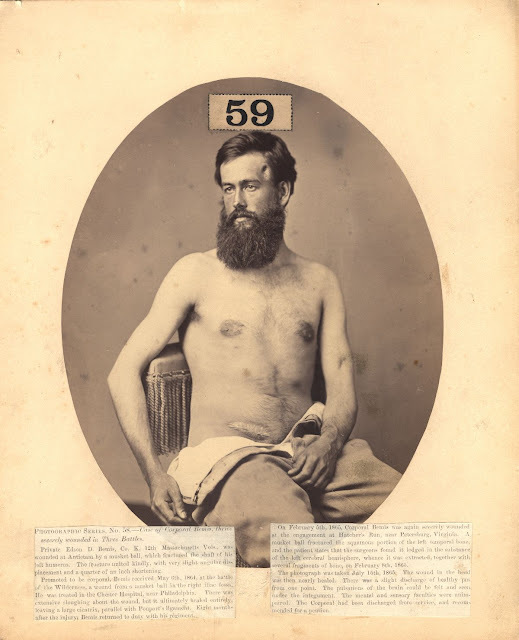 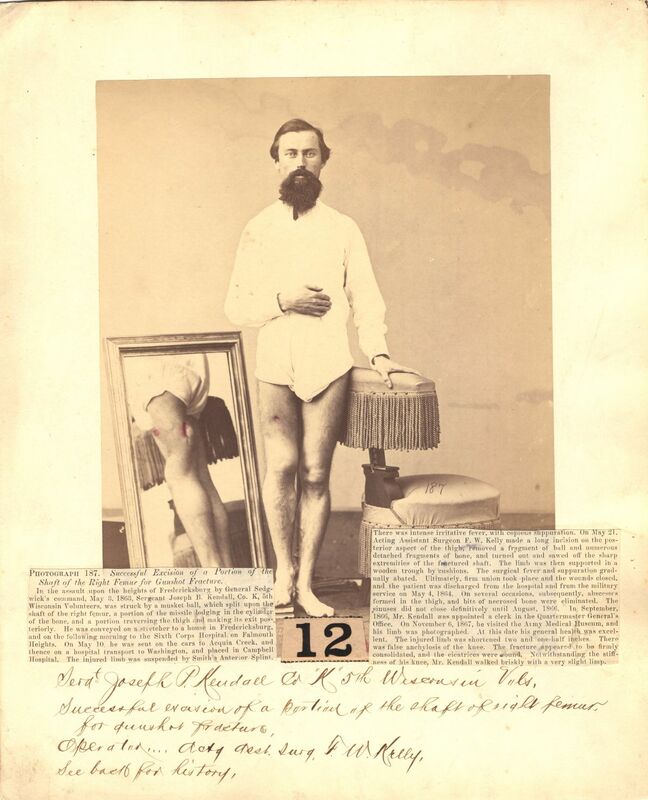 These photographs of injured American Civil War soldiers were created by Reed B. Bontecou, a New York surgeon who played a key role in documenting the very many casualties of the Civil War battlefields. Such photographs were used to verify the severity of the soldiers’ injuries, and helped to determine the level of post-war pension payments. 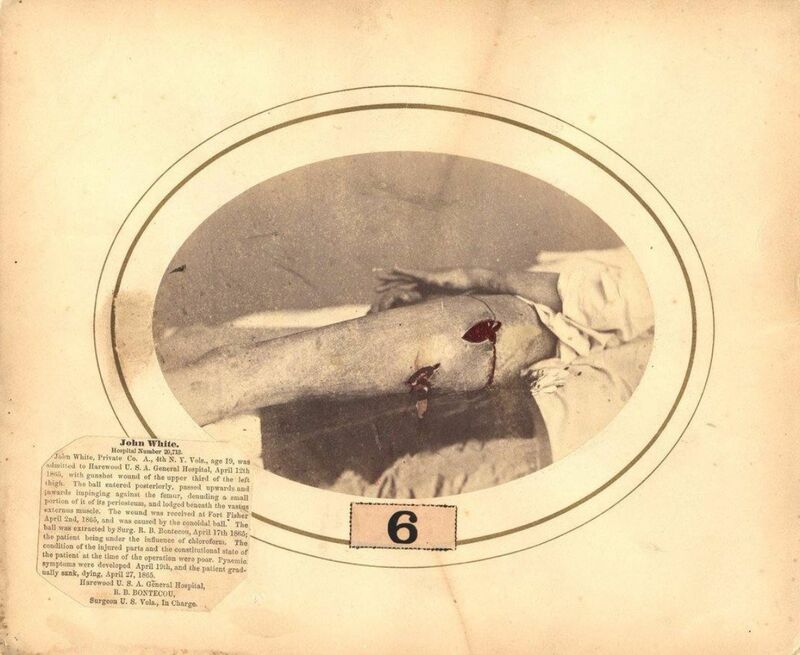 The images depict injuries caused by bullet wounds, and each include an evocative red arrow drawn on by Bontecou tracing the trajectory of the offending projectile. Serving as a surgeon during the war and later as the chief of Harewood Hospital (where these pictured soldiers were treated), Bontecou later developed Bontecou’s Soldier’s Packet for First Wound Dressing, a type of first aid package with antiseptic bandages which the soldiers could carry with them and use to treat their immediate injuries.